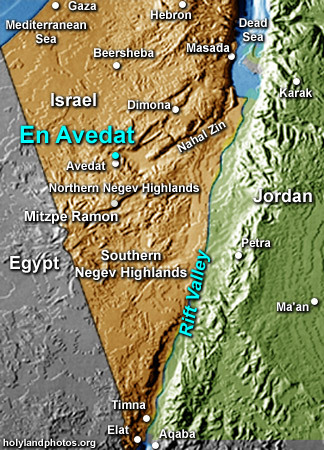 En Avedat is a spring located in an Israeli National Park that is located in the Negev Highlands about 28 mi. [45 km.] due south of Beersheba at the western end of the Nahal Zin. There are a number of beautiful springs and waterfalls in this very remote and dry area. Because of this the reserve teems with wildlife and interesting flora.